Craving For Some Tongue-Burning, Spicy As Hell Food? 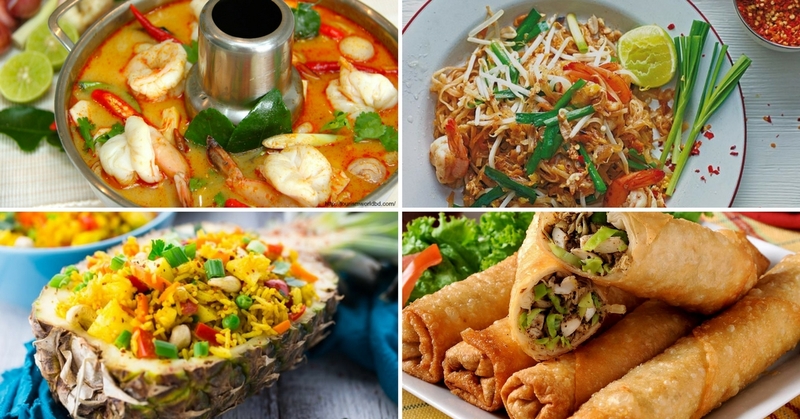 Here’s 5 Thai Restaurants With Deliciously Authentic Thai Fare, You Definitely Won’t Be Disappointed! Tom Yum Goong, Pad Kra Pao, Khao Pad. If you know what these are, congratulations! But if you’re the sort who thinks these are just random Thai people’s names (LOL), time to educate yourself on the basics of Thai cuisine. Spicy, sweet, and sour all rolled into a glorious line-up of fantastic dishes, feasting on a satisfying Thai meal may be literal hell on the stomach and tongue, but that’s a worth sacrifice for the tastebuds. Keen on exploring new places that offer an authentic Thai culinary experience? You HAVE to include these spots in your bucket list, trust us on this! The perfect setting for a romantic date night or family outing, Samira by Asian Terrace offers a hidden foodie gem in the midst of KL’s concrete jungle with its lush greenery and gorgeous vintage decor. Often raved for its attentive service and picturesque lakeside landscape to accompany the dining experience, savour their excellent Duck Green Curry and Prawns with Tamarind Sauce while the gentle evening breeze carries a whiff of aromatic spices in the air. Do not mistake Gin Ger for a tourist trap at first sight – their incredibly strategic location in the heart of Pasar Seni does nothing to shake their hard-earned reputation over the years. Hailed by both tourists and locals alike, give their authentic Tom Yum Goong a hearty slurp, or else the Pineapple Fried Rice will surely satiate fellow office workers for a filling mid-day meal. Situated quite a drive away from Kuala Lumpur, Fish Farm Thai Restaurant more than makes up for it with a charming open-air environment and bustling family-friendly atmosphere. Adults can be seen tucking in to hearty seafood meals while the children joyfully toss fish feed into the pond that makes up for the gorgeous landscape scene. Unwind the stress away with their signature fish and crab selections, finished with a sinfully creamy Mango in Coconut Milk as dessert. Be warned though, this place do get crowded during the weekends and public holidays, so be sure to come on down early. Fellow Kepong-lang will surely be familiar with this place by now – authentic Thai fare with an affordable pricetag to boot, what’s there not to like? The occasional mosquito bite and non-air conditioned presence do nothing to deter loyal patrons from flocking to this humble restaurant, located in the midst of an industrial area and heavily surrounded by tall trees. Be sure to sample their signature Sour & Spicy Fish, deliciously crunchy Paku Manis with Belacan, and wash it all down with some refreshing coconut water. An unassuming Thai restaurant hidden within the hustle and bustle of Taman Desa, Rayong Thai offers a delightful plethora of Thai dishes that’ll surely satiate fellow spicy-lovers. Fair note of caution though – their kitchen is helmed by multiple local Thai cooks therefore the level of spiciness are truly not for newbies, as experienced by fellow loyal patrons. Feast on their burning hot Seafood Tom Yum that teases the mouth AND stomach, a generous serving of Pad Thai, and the tendersome Pandan Chicken as a finger-licking meal filler.